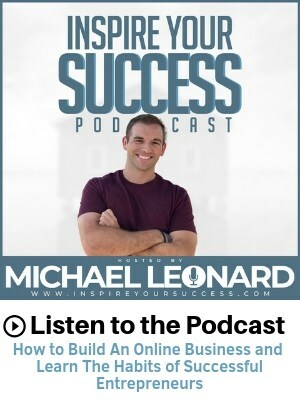 After starting my show, Inspire Your Success Podcast, I’ve learned starting a podcast isn’t nearly as complicated as it sounds. In fact, I’d argue it’s easier to start than a blog or any other type of website to build your brand online. In this post, I’ll clearly breakdown the best podcast software, both paid and free, so you can start cranking out episodes. What is the best recording software for Windows? What software do I need to make a podcast? What should I use to record a podcast? What equipment is needed for a podcast? One of the biggest difficulties that most people have when starting a podcast is thinking about how hard it is to launch and disturbed. But Anchor removes all of the difficulty of getting a high-quality podcast made and distributed everywhere that people listen to the audio. While Anchor is new to the podcasting scene but it is so helpful for beginning podcasters. This software allows you to record a high-quality podcast, host unlimited episodes, and distribute everywhere with just one click. Anchor also makes it easy to manage all of your episodes. You can rearrange segments in your episodes and build episodes from new or older content. Maybe one of the biggest perks with Anchor is that they give you a landing page for your podcast so you can have a custom URL for your show. And with the click of a button, Anchor also lets you seamlessly distribute episodes across top podcasting apps like iTunes, Overcast, Google Play, Stitcher, and more. If you’re just getting started and want to keep costs low, I can’t recommend using Zoom enough. I’ve interviewed guests around the world and never had any issues with Zoom. It’s my favorite podcast recorder online. Previously, when I just got started I was using Skype and it was a nightmare. With Skype, you only get one audio/video file so it’s difficult to edit and the connection was much worse than Zoom. With Zoom, it’s 100% free if you’re only interviewing one guest and everything gets saved to your account. Unlike Skype, where your download is saved for 30 days and then deleted forever. Plus, you get four different versions including two soundtracks, one total length track, and one video. Personally, this makes editing and leveling so much easier than Skype. And if you want to interview more guests without a time limit, the monthly rate of around $10 is a no brainer. 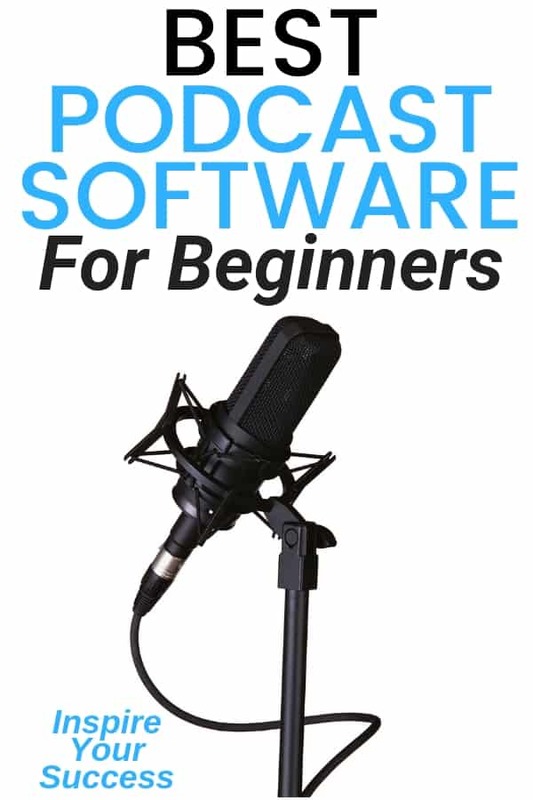 I love this free podcast software to get started quickly! Zencastr is an awesome platform that makes it easy for podcasters to record their guests in studio quality directly from their web browser. You can record your remote interviews in studio quality by simply sending a link and receiving a separate track per guest. Once recorded, all you need to do is Insert your intro, ad, or other audio live as you record. This saves you the time it takes to edit these in during post-production. Zencastr allows you to generate a single mixed track with curated audio enhancements applied to turn your recording into a professional mix ready for publishing. 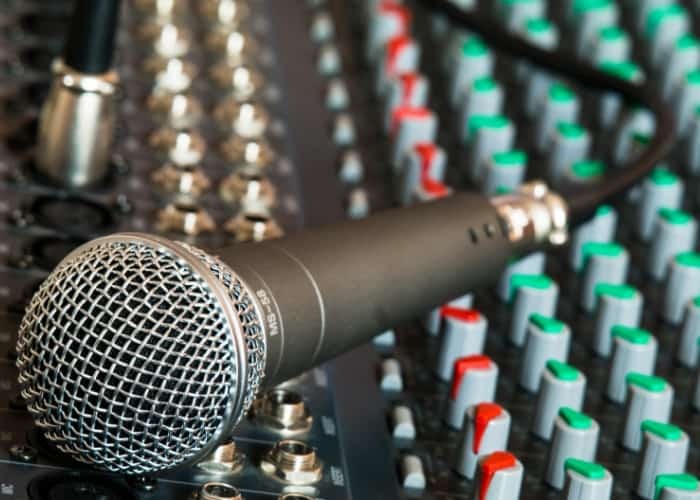 All you need to do is press record and each guests audio is recorded directly from their local microphone. Once the recording is complete, each solo track is uploaded to the Zencastr cloud as well as conveniently synced to the host’s preferred cloud drive (Dropbox or Google Drive). The best podcast software really depends on what type of operating system you will use. I personally use Apple everything so I have broken it down by macOS and Windows to make it easier. If you’re an Apple fanatic like me, you have no shortage of podcast recording options with your Mac. First up is GarageBand. It comes free with Apple products and is a great choice for first-time and even experienced podcasters. I use Garageband to sync my episodes together, record solo episodes, and also do voice overs when I create online courses. It’s very easy to also create separate tracks for free music, ads, intros, and outros. Apple makes it easy to with Garage to adjust the sound, fade in volume, name, and save with different file formats. GarageBand is a fully equipped music creation studio as it comes with a complete sound library. The software has tons of helpful recording and editing features that make GarageBand as powerful as it is easy to use. Edit your podcast right down to the note and decibel. Learning to use Garageband is an entirely different post as it can get pretty techy if you want to get super advanced by using compression, noise gates, EQ, and other features. Make sure to check out this great post to learn how to GarageBand for more advanced podcasting issues. Logic Pro X is Apple’s flagship recording paid studio software. This is the granddaddy of all. The Logic Pro is a full-featured music production and audio editing program for advanced podcasters. It offers an extensive sound library, a good mix of plug-ins and a high level of product support. If you have been using Garageband, Logic Pro will feel familiar and very easy to use. However, if you’re new to Apple products, Logic Pro comes with an easy-to-use interface so you can start working on your podcast recording right away. The main reason I recommend it for podcasters is that the interface matches GarageBand and it’s very easy to upgrade. Even your GarageBand files will open easily in Logic. The cost for Logic Pro is a one-time purchase of $200. Based on the level of support, its extensive sound library and low price, Logic Pro X earns a top spot for best overall value. Adobe Audition is part of the Creative Cloud suite, so if you already have a subscription to the full suite, you have access. It is a paid service that you can also get it for $20/month separately. It is designed for podcast production and editing and has advanced tools just for that. With Adobe Audition, there are a number of noise-reduction capabilities, advanced compression, and EQ, and a ton more. Adobe Audition also has a huge feature known as batch processing. It allows you to apply various effects to one file, save it, then apply those same effects to a “batch” of other files. This can help you save a ton of time in the editing process. It’s important to note that audition can take a lot more learning and getting used to because of the number of features and options in it. Once you’ve grasped the basics, you can do nearly unlimited things with Audition. If you’re prepared to spend time and money on getting first class audio quality with your podcast, then Audition is a stand out option. Maybe you’re a complete beginner who’s not looking to spend any money, but has some spare time to learn the basics of podcast editing? Audacity is a great podcast software for editing. It’s a free cross-platform audio editor. One of the downsides is that it can be confusing to use when first getting started, but once you get the hang of it, it’s great. It is regularly updated and should work all the latest versions of macOS and Windows. Auphonic is one of the many services used by podcasters for audio post-production. It is a paid web-based service that offers automatic audio post production web service for podcasts, broadcasters, radio shows, movies, screencasts and more. Auphonic is free for two hours of audio per month and after that, you will need to pay. The Auphonic API allows you to integrate their services into your scripts, workflows and third-party applications. It automatically levels, tails, and tops your audio. It also does basic cleanup on your files. After you record and edit your podcast episode, you need a place to put it so you can make it an official podcast and Buzzsprout can help. They have a really easy to use platform, plus some additional sharing features that look great and save a ton of time. If you’re a more seasoned podcaster, Hindenburg has some very solid software choices. Hindenburg has several different audio editing programs, with Journalist being their entry-level offering for $95. This version is designed for radio broadcasters and podcasters with higher production value. There is automated levels, loudness, EQ, and a very cool clipboard feature to help you stay organized. With Hindenburg Journalist, you can also put together complex documentary-style episodes as well. These can include multiple elements without being an audio production master. Music Radio Creative is another very helpful resource in your podcasting journey. It’s an amazing website that creates intros, outros, jingles, and more. Plus, you can easily preview different voices and you will get extremely high-quality voice-overs to make your podcast sound much more professional. Ever want a transcription of your podcast episodes? Look no further than Scribie. They’re fast, have multiple versions of English (US, UK, etc. ), and easy to use. Plus, they’re reasonably priced at $0.75 / minute. Transcriptions are an important piece of podcasting and can help with SEO for your website. They also give people a way to enjoy your show in places where they can’t listen. 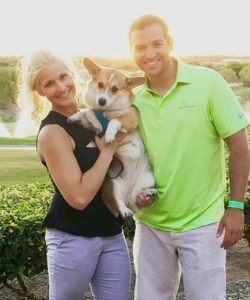 Rev.com is another great service that can help you make your podcasts better by providing a low-cost transcription service. If you’re uploading your podcasts to Youtube this is a great way to add timestamps and create a better user experience. More questions on finding the perfect software? No worries, I got you covered. I would suggest using Audacity to get started. While there are more advanced options, they get pretty complicated and might turn away new podcasters. If you’re more advanced, make sure to check out Pro Tools First. There is a free version that you can get started with an always upgrade in the future. You can get started with a laptop, Zoom, and a microphone. It doesn’t have to be hard. In fact, in the beginning, I always suggest people keep it as simple as possible. Like anything, you can get more advanced but sometimes complexity is the enemy of execution. Personally, I’ve tried several platforms but I keep it simple. I use my Audio Technica microphone, Zoom for recording, and Garageband for editing. The main equipment you need is a microphone, recording software, and something to edit the audio with. You can always add more specialty equipment but this is plenty to get your show going. As you can tell, there is no shortage of options when it comes to choosing the best podcast software. There are a few different options but I suggest Audacity, GarageBand, and Anchor for low-cost options. If you have some more money and want to get more detailed you can opt for Hindenburg Journalist or Adobe Audition. It’s important to note that choosing the best microphone is also utterly important in creating an epic podcast. Just choose something, learn how to use it, and create the best audio you can. Always make sure to create entertaining and engaging episodes to keep your audience coming back or more.